Double IF labelling made easy – two colours, one step! Apply two colors in one step using the VectaFluor™ Duet Immunofluorescence Double Labelling Kit. These kits are designed to save time and effort in double labeling immunofluorescence protocols that can potentially be long and tedious. The kits are configured to detect a mouse and a rabbit primary antibody with green and red fluorescence in one step. 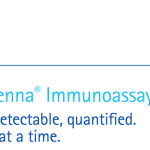 Vector’s affinity purified, extensively cross-adsorbed secondary antibodies are conjugated to DyLight® dyes in a manner that ensures maximum degree of labeling without compromising antibody affinity or specificity. The red and green pair of DyLight® anti-mouse/anti-rabbit antibodies are then combined in a robust, stable, convenient cocktail formulation that yields sensitive, consistent dual staining. 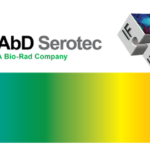 VectaFluor™ Duet is compatible with fluorescence staining of cells and tissues. How to resolve the changing needs of cellular research with continuous live-cell analysis?